HTC has announced its standalone VR headset is finally coming to the West. The Vive Focus is available starting today in the US and Europe, with the base model costing $599. But HTC is positioning the Vive Focus as an enterprise product. In fact, the Vive Focus launch in San Francisco was billed as an enterprise event, and HTC spent most of the presentation talking about the potential for VR in business. HTC is wagering that the enterprise market will be more lucrative, but anyone will be able to pick up the highly-anticipated headset, which is a rival to the Oculus Go and a more direct competitor to the upcoming Oculus Quest, Facebook’s more capable standalone headset. The Vive Focus cuts the cords and lets you take the Vive experience on the go. While the HTC Vive and Vive Pro use room sensors to track your movements in VR, the Vive Focus has an inside-out system where the Focus tracks its location in relation to the rest of the room. That means you don't need to put up any external base stations. Inside the headset is a Qualcomm Snapdragon 835 processor with a resolution of 1440 x 1600 pixels per eye, built-in speakers and a battery life of up to 3 hours. 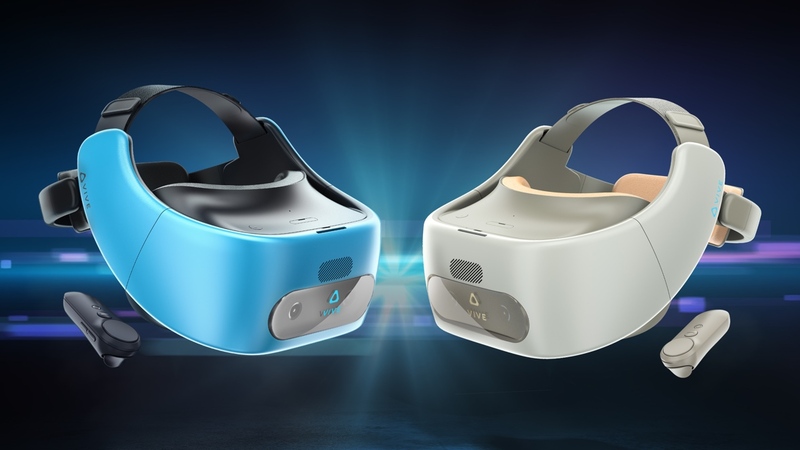 As part of its enterprise push, HTC is launching the Vive Focus with something it calls Vive Enterprise Advantage, a service that provides commercial licensing, support and various other features for businesses using HTC’s VR headsets. HTC is calling the base $599 version of Vive Focus the “developer” model, while adding Enterprise Advantage will bring the overall cost to $749. But here’s the thing: you might want to wait a while longer to pick up a Vive Focus. Not just because it’s still meant for developers and enthusiasts, but at the same event HTC revealed a new developer kit with improved controllers. The current Vive Focus has six-degrees-of-freedom tracking on the headset, but its controllers are only 3DoF (so you don’t get the sense of depth). HTC showed off a new developer kit that has 6DoF controllers and revealed the new kit will be available in the coming months. We tried the Vive Focus back at MWC, where editor Mike came away suitably impressed. "The image quality is pretty crisp and in no way laggy, despite essentially being powered by a processor that's primarily found inside smartphones," he said at the time.